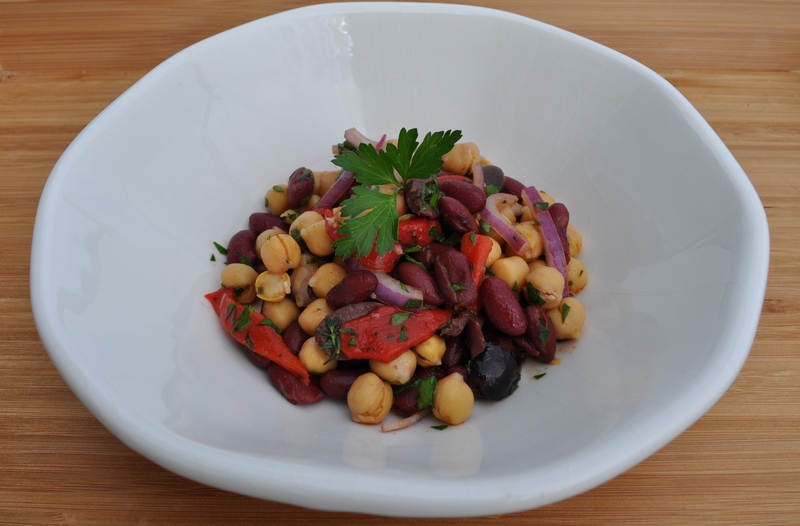 Mediterranean Bean Salad – Got Nourishment? 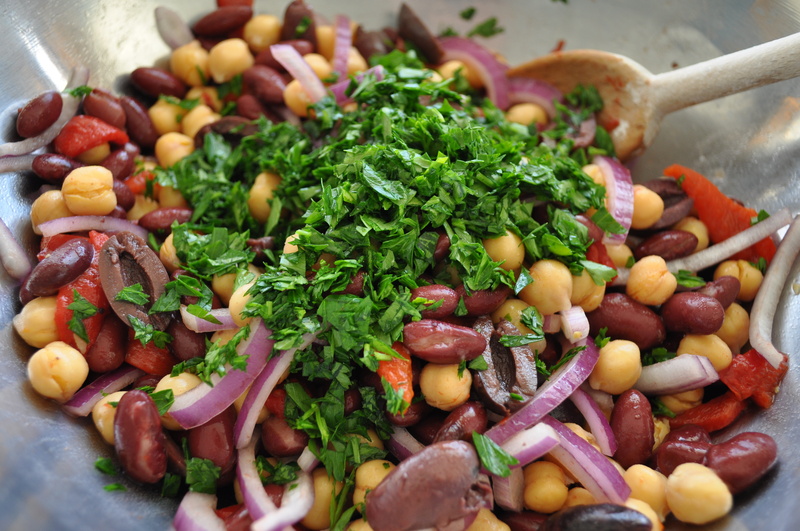 This super simple bean salad makes an excellent side dish, snack, or even main dish. The kalamata olives, roasted red pepper, red onion, and red wine vinaigrette give this salad a burst of flavor! Not only is the flavor to die for, it’s rich in nutrients as well! Fiber, vitamin A, and vitamin C, oh my! Try pairing with avocado toast for a satisfying combination. 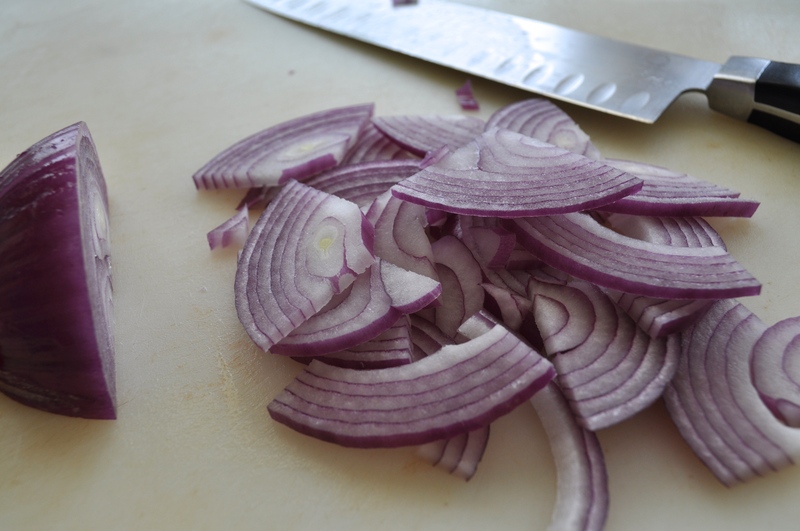 Make this salad a day ahead to allow time for flavors to meld. 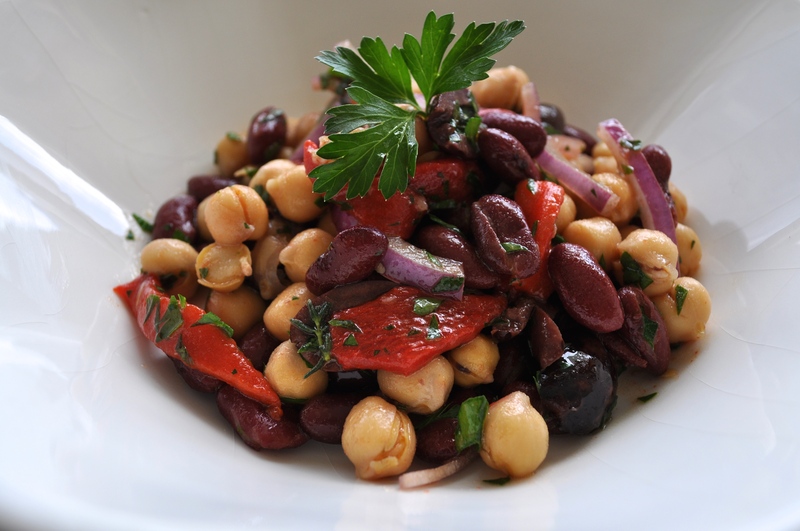 Combine beans, roasted red pepper, olives, and onion in a medium bowl. Whisk together vinegar, olive oil, garlic, salt, and thyme in a small bowl. 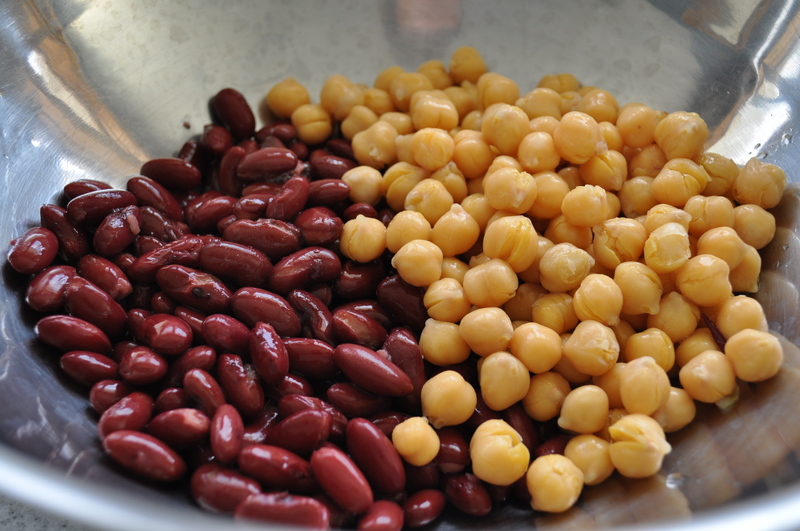 Pour vinegar and olive oil mixture over bean mixture and combine. Season with freshly ground pepper, if desired.